For a long time in my life I’ve had really problems to listen to jazz music, especially the very free, improvised forms. That changed when I discovered the Insubordinations netlabel from Switzerland, where you can find extra-ordinary releases on exactly this field. And of course my musical taste also changed in that period, so that all comes together. 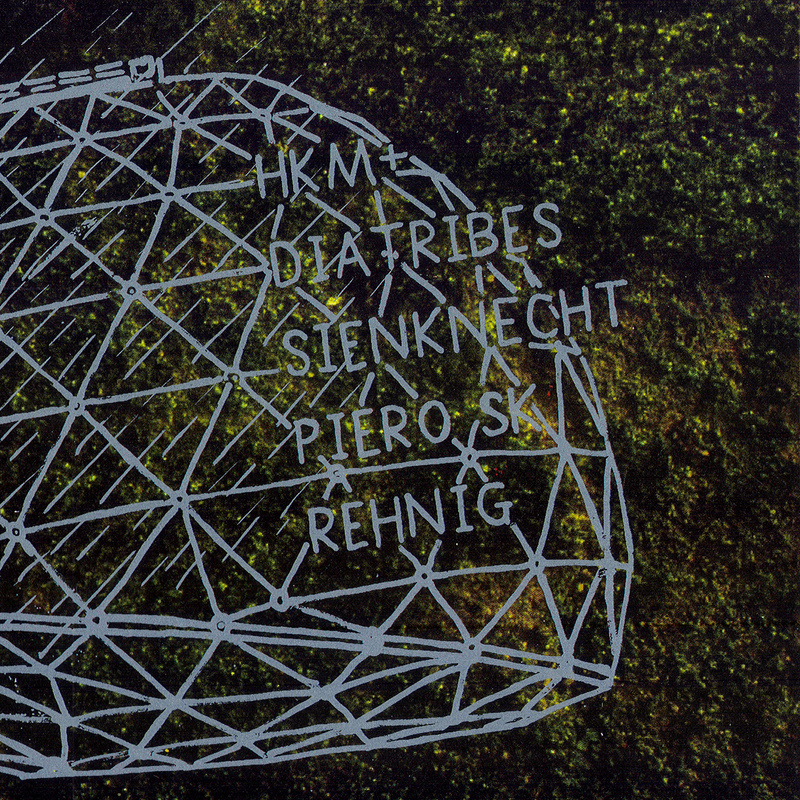 Now I’m really happy to present you a very, very fine piece of improvised music, made by HKM+ and diatribes together with Piero SK, Robert Rehnig and Johannes Sienknecht. 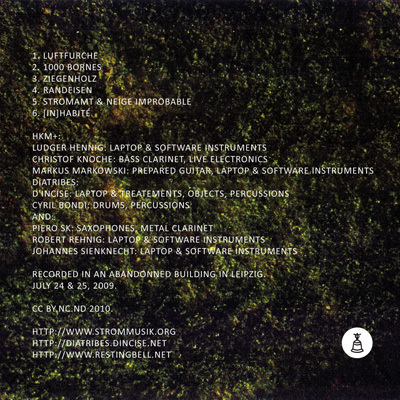 HKM+ is an ensemble for electroacoustic improvisation which consists of Ludger Hennig (software instruments), Christof Knoche (bass clarinet / electronics) and Markus Markowski (prepared guitar/ software instruments). diatribes were a trio in the beginning and changed now to a polymorphous formation, accuratly incomplete, extending its spectrum with guest musicians. 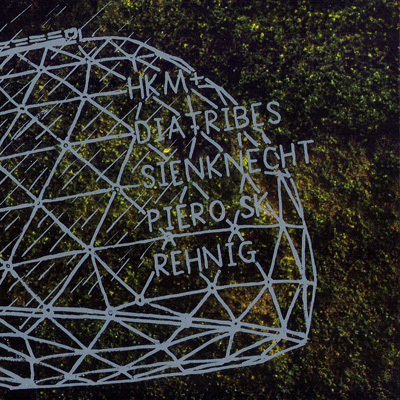 These eight people meet last year in an abandonned building in Leipzig and recorded a big bunch of material, which finally became this wonderful 50-minute release. It is raw, acoustic (even if there are software elements in it) and free. In my ears the acoustic, organic element is the best part in this release. You can always feel the instruments, the movement and the creative space, created by the whole group. Recorded in an abandonned building in Leipzig, July 24 & 25, 2009.